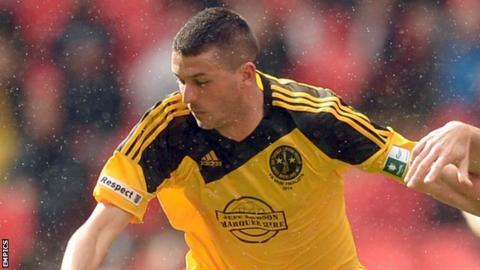 Torquay United have signed Oxford United striker John Campbell on loan until the end of the season. The 26-year-old having impressed on trial after scoring 24 goals in 19 games for Jarrow Roofing in the Northern League Division One. Campbell has previously played in the Conference for Darlington. "It is a really important time of the season for the club and we have to use all available resources to ensure that the squad is strong going into the next few months," Torquay United advisor, and former Oxford chairman Kelvin Thomas told the club website. "Thea Bristow and the board raised some additional funds for a previous signing in the January transfer window that didn't happen, so we have been able to use that at this time," he added.